FINALS UPDATE: Thursday Night Football (4.8), Superstore (1.3), The Good Place (1.4), Will and Grace (3.0) and Gotham (0.9) adjusted up while How to Get Away with Murder (1.0) and Thursday Night Football Pregame (2.0) adjusted down. 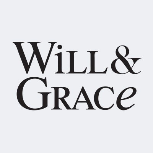 On Premiere Thursday, NBC popped in a big way with its revival of Must See TV sitcom Will and Grace (2.9). Excluding Olympics and Super Bowl lead-outs, this will be the first NBC sitcom episode to crack a 200 in A18-49+ since... the finale of Will and Grace in 2006. In terms of W&G's ability to lift all boats around it, the results were mixed but had some clear positives. Superstore (1.2) looks like it will be just a touch below last year's premiere in Plus, but an improvement over some of its ugliness late last season. The Good Place (1.3) basically matched the demo of its post-America's Got Talent preview last week, which seems like a win. And W&G's lead-out Great News (1.3) eked out a new series high, but was still at less than half of its lead-in. The biggest winner of all was the drama Chicago Fire (1.5), which looked great in its move to a new night (topping last year's 1.4 Chicago Med premiere on the night). Meanwhile, it was TGIT time on ABC, with the two-hour return of Grey's Anatomy (2.3) leading into How to Get Away with Murder (1.1). Grey's Anatomy was amazingly healthy once again vs. last year's 2.5 premiere, but Murder fizzled a bit considering how well it ended last year. The network's nightly average got a lot of help year-to-year since the second hour of Grey's got compared against last year's 1.1 Notorious launch. Fox's Gotham (0.8) and The Orville (1.1) marched onward after making their timeslot debuts last week. It was a promising showing for Orville, matching last week when it had less competition, and the lineup still looks like an improvement on last year's Rosewood / Pitch duo (they got a 0.7/1.1 for their premieres on this night last year). And CBS had its first game of Thursday Night Football, after the first two weeks of TNF were cable only (presumably a ploy to get all five CBS games counted in the network's regular season average). As usual, expect these games to adjust way up in finals because the final ratings will include the simulcast rating with NFL Network, though last night's game was mucked up a bit by a weather delay. FINALS UPDATE: Survivor (1.8) adjusted up while Arrow (R) (0.2) and Supernatural (R) (0.2) adjusted down. After three solid debuts last year, this year's Premiere Wednesday had only one series opener: the CBS drama SEAL Team (1.5). It is a fine start, holding most of its Survivor (1.7) lead-in's demo and topping the night in total viewers with almost 10 million. Criminal Minds (1.3) did all right as it finally made the move to 10/9c. Survivor (1.7) continued a soft-ish start for the reality franchises this fall, down at least 20% from last year's 2.3 fall premiere. Fox took over the lead on Premiere Wednesday with the return of Empire (2.4), now at 8/7c on a regular basis for the first time and leading into fellow Lee Daniels series Star (1.8). Empire was down 40%ish from its year-ago premiere, but it's gotten pretty used to trends like that in the spring half of last season. An upward adjustment would tie it with last season's finale. The bump for Star was solid, as it zoomed back ahead of its entire Wednesday run in 2017, and had close to the same Plus as its post-Empire preview in December 2016. ABC plugged in sophomore American Housewife (1.6) at 9:30 after three years of Black-ish in the timeslot. At least on premiere night, Housewife was not too indistinguishable from a typical Black-ish episode - acceptable, but not a breakout. As for the returnees, Modern Family (2.1) was down a little more than league average in its return, while The Goldbergs (1.8) held up nicely at 8/7c. At 8:30, sophomore Speechless (1.4) looked like a weaker link than it was even last spring, and certainly compared with its 2.0 launch last fall. At 10/9c, Designated Survivor (1.1) was of course down huge from last year's 2.2 launch but toward the high end of what it was doing in the spring. And NBC saw The Blacklist (1.1) take over at 8/7c, where Blindspot aired all of last season. Early indications are that the show may see some benefit from airing in the earlier hour; it was never higher than 1.0 in all of its winter/spring 2017 episodes. Its veteran lead-outs Law and Order: SVU (1.4) and Chicago PD (1.3) appear to be down a bit in Plus, after opening with 1.8 and 1.6 last year. Here are a few quick thoughts on what Premiere Wednesday says about the renewal/cancellation landscape. These are based on prelims and I probably will not get around to updating this page with the finals, but I'm trying to anticipate some things that could happen in finals. FINALS UPDATE: Bull (1.3), The Voice (2.7) and This Is Us (3.9) adjusted up while Law and Order True Crime (1.6), Brooklyn Nine-Nine (0.7) and Legends of Tomorrow (R) (0.2) adjusted down. After a quiet start to the season, NBC roared into the lead on Tuesday with the return of last year's mega-smash This Is Us (3.8). The show exploded to another new series high, double digits ahead of last season's finale and a full point ahead of last year's series premiere. It was another down night for its lead-in The Voice (2.6), but it could at least beat Monday's rating if it gets adjustment help. However, NBC had a second straight premiere with 50% or less retention in the 10/9c hour with the short-order anthology series Law and Order: True Crime (1.7). Fox got its fall programming under way with the returns of Lethal Weapon (1.2), The Mick (0.9) and Brooklyn Nine-Nine (0.8). On a new night, Lethal Weapon matched the low point from its first season but is still clearly a success story; and it is noteworthy that the show skewed much younger with competition from NCIS. (Last year's 1.2 came with almost six million viewers, while this episode had just 4.266 million.) Meanwhile, both Mick and Brooklyn bounced back from their results late last season, but still scored well below their respective 1.3/1.1 Tuesday premieres. CBS brought back last year's Tuesday trio of NCIS (1.6), Bull (1.2) and NCIS: New Orleans (1.0). The year-ago evening involved Bull's 2.2 series premiere, but both of the NCIS series were down close to 30% from Premiere Tuesday last year. And it was ABC's turn to delay its regular lineup for a week, instead going with a Dancing with the Stars-themed Celebrity Family Feud (1.3) and two hours of Dancing with the Stars (1.2). It was a very competitive outing for the Feud, beating its last five ratings from the summer. Here are a few quick thoughts on what Premiere Tuesday says about the renewal/cancellation landscape. These are based on prelims and I probably will not get around to updating this page with the finals, but I'm trying to anticipate some things that could happen in finals. Here are a few quick thoughts on what Premiere Monday says about the renewal/cancellation landscape. Gonna try to get back into doing these "columns" on a somewhat regular basis this season. FINALS UPDATE: The Big Bang Theory (4.1) and Young Sheldon (3.8) adjusted up while Dancing with the Stars (1.4), The Good Doctor (2.2), Me, Myself and I (1.6), The Brave (1.3) and So You Think You Can Dance (0.5) adjusted down. CBS made a massive Premiere Monday splash with the debut of Young Sheldon (3.7), which held almost all the lead-in from its parent series The Big Bang Theory (3.9). That puts it ahead of last year's Kevin Can Wait premiere, and virtually certain to become the highest scripted series premiere on record in A18-49+. (2 Broke Girls' 301 in 2011 is the only one that has cracked a 300.) This will throw some more intrigue into CBS' Young Sheldon rollout plan; the show is slated to sit on the bench from now until November 2. Can the eye really leave a potential megahit comedy on the shelf for six weeks?? The Young Sheldon hype shouldn't completely obscure that it was an incredible night from TBBT (3.9) in its own right. This will be the biggest historical-adjusted performance in the history of the show, probably over a 350 Plus. Later in the night, Kevin Can Wait (2.3) was back for season two, and it managed to come pretty close to last year's premiere after making news with its replacement of Erinn Hayes with Leah Remini in the off-season. It led into new comedy Me, Myself and I (1.7), which held up OK at 9:30. But the CBS momentum was gone by 10/9c, as Scorpion (1.0) was down considerably from last year's premiere with a lot more competition. ABC had its own extremely impressive start with 10/9c drama The Good Doctor (2.4), which built big on its lead-in from Dancing with the Stars (1.5). This was well over double the measly 0.9 premiere of Conviction a year ago, and on a Plus basis should handily outrate anything Castle ever did in eight seasons with this timeslot. The network may adjust down in finals due to a Monday Night Football preemption in Dallas. This left NBC as a bit of a Premiere Monday afterthought, even though it was close behind CBS for the nightly average with two hours of The Voice (2.3/2.8). Voice was down at least 20% year-to-year. New drama The Brave opened with a 1.4 at 10/9c (including a shaky 1.6 -> 1.2 half-hour breakdown). This was down four tenths from the Timeless premiere a year ago and even more steeply behind The Good Place, which had a 2.3 for the hour on Premiere Monday. Fox stayed out of the Premiere Monday mix, instead wrapping up the So You Think You Can Dance season (0.6/0.5). Lucifer and The Gifted will join the fray next week. FINALS UPDATE: Celebrity Family Feud (1.1) and Sunday Night Football (6.3) adjusted up while The Simpsons (R) (0.4) adjusted down. On the eve of a new fall season, CBS gave its first national late-afternoon NFL lead-in to Star Trek: Discovery, a new drama that will air the rest of its season on the streaming service CBS All Access. It is currently listed with a 1.6 average in the 9:00 hour (while 60 Minutes had a 2.5 in the 8:00 hour), but Trek actually started at 8:48 on the East Coast so it could go higher than this in finals. Meanwhile, it was the last night of Summer Fun & Games on ABC, and Celebrity Family Feud (1.0) returned to originals alongside Steve Harvey's Funderdome (0.8) and The $100,000 Pyramid (0.6). The original CFF lead-in helped bring the latter two up from their lows last week. 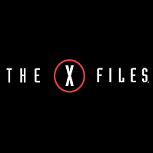 Fox got decent mileage out of two-hour special Who Shot Biggie & Tupac? (1.1), while it looks like a fairly soft outing for Sunday Night Football on NBC with a low-5's prelim. While there are some tweaks for 2017-18, the basic Renewology structure is the same. So I recommend looking back on the intro and especially the summary of the process from this time last year. This just works as an amendment to that. Just want to say off the top that Renewology will be back, and is ready to run as we speak. But it's possible it could be delayed a bit to start the season, depending on whether we will have a source for viewing levels this season. If not, the estimates for viewing levels (which I get using shares) can be kinda sketchy, as I found out when I put out some R% using the estimates during premiere week last year. I have a rough idea for something that will hopefully make these estimates a little more reliable, but I didn't want to waste much time on it till I knew if I would have to. FINALS UPDATE: 20/20 (0.6), Masters of Illusion (0.2) and Masters of Illusion (R) (0.3) adjusted down. Labels: 20/20, Dateline, Masters of Illusion, sr, sr friday, What Would You Do? FINALS UPDATE: The Big Bang Theory (R) (1.2) adjusted up while American Ninja Warrior (R) (0.8) adjusted down. Fox got a jump on the busy Thursday landscape by debuting its duo of Gotham (1.0) and The Orville (1.1) a week before the start of the regular season. Though there will be a lot more competition next week, it looks like a passable start; Gotham matched the first half of last year's finale and was down three tenths from the year-ago premiere, while Orville tied the year-ago premiere of Pitch in this timeslot. In Plus, they are a better pair than anything Rosewood and Pitch did on this night last fall, at least for now. FINALS UPDATE: Big Brother (2.2) and America's Got Talent (3.0) adjusted up while Salvation (0.5) and The Good Place (1.3) adjusted down. As the summer ended for many a reality staple, NBC's comedy The Good Place (1.4) kicked off its second season in the 10/9c hour, leading out of a huge finale from America's Got Talent (2.7/3.0). Good Place dropped heavily from 1.7 to 1.2 at the half, and the 10:30 raw number represented a pretty typical Thursday delivery for the show last season. Talent will either match or beat its 2.8 finale from a year ago. On CBS, Big Brother (2.2/2.1) was very impressive as well, topping its year-ago finale (which was on premiere Wednesday). If it can eke out a 2.2 after finals, it would be a new multi-season high for the series. It led into the finale of Salvation (0.6) in the 10/9c hour, which would actually be its highest rating in a couple months if it holds on. MasterChef (1.0/1.2) was the one lost in the shuffle, actually declining by a couple tenths week-to-week (and three tenths year-to-year) in both hours. A new season is nearly upon us, so it's time to revisit last year's new feature Renewology. This post will be a hopefully candid look back at how it did last year, while there will be another post very soon detailing what is coming up for the new season. Check out the intro to Renewology, explanation of the process, and the daily Renewology posts by network (ABC | CBS | NBC | Fox | CW) which will be heavily referenced below. FINALS UPDATE: America's Got Talent (3.0) adjusted up while The Paley Center Salutes The Best of Will and Grace (1.1) and The Orville (R) (0.4) adjusted down. America's Got Talent (2.9) had a monster final Tuesday of the season, rising to what would be a new season high against virtually no competition from the other broadcasters. However, there was only tepid interest in Talent's last Tuesday lead-out, a Will & Grace-themed Paley Center special (1.2). These numbers are current through Monday, September 18. Comedy Central's veterans South Park (0.96) and Broad City (0.51) teamed up on Wednesday, with South Park still near the top of the cable rankings but giving back all of its big premiere night growth from last year. It did give a nice boost to Broad City, which was +11% from last year's premiere (when it didn't have such a lead-in). FINALS UPDATE: Dancing with the Stars (1.6), To Tell the Truth (0.7), Supergirl (R) (0.2), Whose Line Is It Anyway? (R) (0.2) and Whose Line Is It Anyway? (R) (0.2) adjusted down. It was a bit of a sluggish start by Dancing with the Stars (1.6) standards, as the fall staple returned at 24% behind both the fall and spring premieres in 2016-17. It barely eked out a head-to-head win against American Ninja Warrior (1.5) on NBC, a head-to-head that DWTS won more convincingly on the year-ago evening (2.1 to 1.7). And it helped bump To Tell the Truth (0.7) back to the high end of its modest summer results. FINALS UPDATE: ACM Honors (0.6), America's Got Talent (R) (0.7), Masters of Illusion (0.2), Masters of Illusion (R) (0.2) and Penn and Teller: Fool Us (R) (0.2) adjusted down. Labels: 20/20, Big Brother Special, Dateline, Masters of Illusion, sr, sr friday, What Would You Do? Here are War of 18-49 records for currently airing news/sports series. The 8:00 hour had a charity event simulcast across the entire big four for the second time in a five-day span; this time it was the hurricane relief effort Hand in Hand, which averaged a 1.1 on NBC and a 0.7/0.6/0.4 on the other networks. It was an unfortunate break for America's Got Talent (2.3/2.2), which slid into the 9:00-11:00 timeslot. Fox's pilot encore of The Orville (0.5) built on its Hand in Hand lead-in (0.4). These numbers are current through Sunday, September 10. FX's American Horror Story (2.02) returned to top the cable world on Tuesday, but the -27% was easily the show's steepest year-to-year decline for a premiere in series history. But it's a series that has been famous for its huge declines in the post-premiere weeks, so there is room to make up ground if it settles more smoothly this time. FINALS UPDATE: To Tell the Truth (0.6), The Big Bang Theory (R) (1.0), Kevin Can Wait (R) (0.8), Mom (R) (0.8), Life in Pieces (R) (0.6), Scorpion (R) (0.5) and Midnight, Texas (0.6) adjusted down. Preliminary ratings may be affected by Monday Night Football preemptions on ABC (Los Angeles), CBS (Minneapolis) and NBC (New Orleans). Indefinite Nielsen ratings delays continue. FINALS UPDATE: Sunday Night Football (9.1), NFL Overrun (6.3), The OT (4.4) and The Orville (2.7) adjusted up while America's Funniest Home Videos (R) (0.9), Miss America Pageant (1.1), NCIS: Los Angeles (R) (0.5), Football Night in America p2 (2.1), Football Night in America p3 (4.7), The Simpsons (R) (0.8) and Family Guy (R) (0.7) adjusted down. The Orville opened to a preliminary 2.3 rating, leading out of national NFL coverage in the 7:00 hour. The prelims seem potentially promising, as Orville was about on par with the Son of Zorn number from a year ago even as the NFL ratings in the 7:00 hour are a lot lower. And it could adjust up in finals when West Coast viewing (which was also immediately after football) is incorporated. But we'll see if any craziness ensues with the finals. Elsewhere, after a slow start on Thursday, Sunday Night Football was on the upswing on Sunday, with an 8.0ish prelim that topped the Sunday opener from a year ago. And ABC's Miss America Pageant appears to be down just a bit from last year's 1.3. Due to the effects of Hurricane Irma in Tampa, Florida (where Nielsen happens to have its data center), ratings are delayed indefinitely. The delays fall on a busy Sunday night for the broadcasters; Fox previewed new drama The Orville after its late-afternoon NFL games, NBC surely dominated with its first Sunday edition of Sunday Night Football, and ABC had the annual Miss America competition. Stay tuned. The War of 18-49, Post-2013 Fox Scripted: Empire, Gotham, The Last Man on Earth and more! Here are War of 18-49 records for currently airing Fox scripted series that are not yet four years old (and thus don't have stand-alone War pages). The War of 18-49, Post-2013 CW Scripted: The Flash, Supergirl, Jane the Virgin and more! Here are War of 18-49 records for currently airing CW scripted series that are not yet four years old (and thus don't have stand-alone War pages). 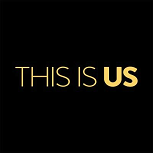 The War of 18-49, Post-2013 NBC Scripted: This Is Us, Chicago Med, Superstore and more! Here are War of 18-49 records for currently airing NBC scripted series that are not yet four years old (and thus don't have stand-alone War pages). The War of 18-49, Post-2013 CBS Scripted: NCIS: New Orleans, Life in Pieces, Scorpion and more! Here are War of 18-49 records for currently airing CBS scripted series that are not yet four years old (and thus don't have stand-alone War pages). The War of 18-49, Post-2013 ABC Scripted: American Housewife, Fresh Off the Boat, How to Get Away with Murder and more! Here are War of 18-49 records for currently airing ABC scripted series that are not yet four years old (and thus don't have stand-alone War pages). FINALS UPDATE: Sunday Night Football (7.7) adjusted up while Football Night in America p3 (3.1) adjusted down. The NFL regular season returned to NBC with the Thursday opener for Sunday Night Football. Last year's opener adjusted up from an 8.5 prelim to a 9.4 final. So the 7.2 opening prelim puts NBC down 15% year-to-year. Schedules Plus is the ultimate almanac to broadcast network primetime scheduling since 2001. It features lineups for three different parts of the year, as well as A18-49+ ratings that more fairly account for historical decline. For more on the tables and charts in Schedules Plus, see this primer. New this year, the day and network names also link to their own pages, which compile the averages of all networks/days on that particular day/network. This is a compilation of Fox's Schedules Plus averages by day of the week, providing a look at how the network has evolved over time on each night. These averages come directly from the net's Schedules Plus posts, which are linked in the table headers below. As with the individual Schedules Plus, it is important to keep in mind that these are not averages of every single thing that aired on the network, but just the most frequent occupant in each timeslot in each section of the year. See the Schedules Plus primer for more. This is a compilation of ABC's Schedules Plus averages by day of the week, providing a look at how the network has evolved over time on each night. These averages come directly from the net's Schedules Plus posts, which are linked in the table headers below. As with the individual Schedules Plus, it is important to keep in mind that these are not averages of every single thing that aired on the network, but just the most frequent occupant in each timeslot in each section of the year. See the Schedules Plus primer for more. This is a compilation of CBS's Schedules Plus averages by day of the week, providing a look at how the network has evolved over time on each night. These averages come directly from the net's Schedules Plus posts, which are linked in the table headers below. As with the individual Schedules Plus, it is important to keep in mind that these are not averages of every single thing that aired on the network, but just the most frequent occupant in each timeslot in each section of the year. See the Schedules Plus primer for more. FINALS UPDATE: Bachelor in Paradise (1.3) and America's Got Talent (2.6) adjusted up while Black-ish (R) (0.5), Hollywood Game Night (1.0), The Flash (R) (0.1) and Legends of Tomorrow (R) (0.1) adjusted down. This is a compilation of all the broadcast networks' Schedules Plus averages on Sunday, providing a look at how the network race has evolved over time on this night. These averages come directly from the night's Schedules Plus posts, which are linked in the table headers below. As with the individual Schedules Plus, it is important to keep in mind that these are not averages of every single thing that aired on the network, but just the most frequent occupant in each timeslot in each section of the year. See the Schedules Plus primer for more. The 'Avg' column and the charts cover only ratings for the big four networks. FINALS UPDATE: Saturday Night Football (1.3), Big Brother (1.7) and CFB on Fox (0.8) adjusted up while ABC Fall Preview (0.5) and CFB on Fox Pregame (0.3) adjusted down. FINALS UPDATE: Masters of Illusion (R) (0.2) adjusted down. FINALS UPDATE: Battle of the Network Stars (R) (0.6), Battle of the Network Stars (R) (0.5), The Gong Show (R) (0.4), Kevin Can Wait (R) (0.5), Kevin Can Wait (R) (0.5), Big Brother (1.5), Zoo (0.4), The Wall (R) (0.5), The Wall (R) (0.5), The Night Shift (0.6), Beat Shazam (R) (0.6), Love Connection (0.5), Penn and Teller: Fool Us (R) (0.2), Whose Line Is It Anyway? (R) (0.2) and Whose Line Is It Anyway? (R) (0.2) adjusted down. Numbers to come. Preliminarily ratings are extremely inflated due to preseason NFL preemptions.